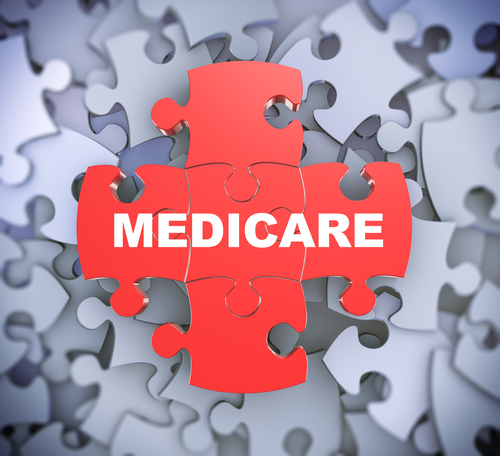 What Are the Differences Between Medicare Parts A & B, and Medicare Supplement Insurance? Medicare is an insurance program designed for American residents who are 65 years and older. Run by the federal government, it allows those who have paid into the Medicare system throughout their careers to take advantage of health insurance services. The system is also available for younger residents dealing with specific disabilities or diseases. The health insurance offered through Medicare has many different parts, including Parts A & B as well as Medigap, or supplemental insurance. But what exactly are each of these policies good for? Read on to find out which portions of Medicare you need to make sure you’re covered. What do Medicare parts A & B cover? Parts A & B, known as Original Medicare, provide a range of standard services and supplies that are necessary for treating specific conditions. However, each part brings something different to the table. Part A deals mainly with hospital services, including everything from hospital visits to hospice and nursing home care. Part B, on the other hand, covers medical services—services and supplies necessary to treat or even diagnose specific conditions as well as preventative services. This type of Medicare covers a variety of services like inpatient and outpatient services, ambulance rides, clinical research, second opinions and even certain prescription drugs. What does Medicare supplemental insurance cover? A Medicare supplemental insurance comparison shows that some services are not covered by Original Medicare. Medigap policies are only offered to those already covered by parts A & B; still, supplemental insurance covers things that Original Medicare doesn’t, like co-payments and deductibles. It is also valid for medical assistance when traveling outside of the United States. Previous supplemental insurance plans covered some prescription drugs; however, buyers must now purchase a Medicare Prescription Drug, or Part D, plan to get this type of coverage. Other things not covered by Plans A & B or supplemental insurance include long-term care, dental care or eyecare. How can I find an agent near me to help sign up for Medicare? Whether you need to sign up for Medicare Part A & B or find an agent for Medicare supplement insurance, Serra Benefits has the professional knowledge to provide you with the perfect policy. Founded almost 20 years ago, we have the experience to inform you and provide unique, personalized service. To get started, give us a call at 760-439-9700 or email John Young, our resident Medicare expert.